Everything about radio and special about D-star. Geologically, the lake was formed after the last ice age about 10,000 years ago; when the ice melted, the entire width of Sweden was covered in water, creating a strait between Kattegat and the Gulf of Bothnia. Due to the ensuingisostatic rebound, lakes such as Vänern and Vättern became pursed off. As a result, there are still species remaining from the ice age not normally encountered in fresh water lakes, such as the amphipod Monoporeia affinis. AViking ship was found on the lake's bottom on May 6, 2009. A story told by the 13th-century Icelandic mythographer Snorri Sturluson in hisProse Edda about the origin of Lake Mälaren was probably originally about Vänern: the Swedish king Gylfi promised a woman, Gefjun, as much land as four oxen could plough in a day and a night, but she used oxen from the land of the giants, and moreover uprooted the land and dragged it into the sea, where it became the island of Zealand. Snorra Edda says that 'the inlets in the lake correspond to the headlands in Zealand'; since this is much more true of Vänern, the myth was probably originally about Vänern, not Mälaren. The Battle on the Ice of Lake Vänern was a 6th-century battle recorded in the Norse sagas and referred to in the Old English epic Beowulf. In Beowulf, Vänern is stated to be near the location of the Dragons mound at Earnanæs. Vänern covers an area of 5,655 km2 (2,183 sq mi). Its surface is 44 m (144 ft) above sea level and it is on average 27 m (89 ft) deep. The maximum depth of the lake is 106 m (348 ft). Geographically, it is situated on the border between the Swedish regions of Götaland andSvealand, divided between several Swedish provinces: The western body of water is known as the Dalbosjön, with its main part belonging to Dalsland; the eastern body is known as Värmlandsjön, its northern part belonging to Värmland and the southern toVästergötland. Its main tributary is Klarälven, which flows into the lake near the city of Karlstad, on the northern shore. Other tributaries include Gullspångsälven, Byälven and Norsälven. It is drained to the south-west by Göta älv, which forms part of the Göta Canal waterway, to Lake Viken into Lake Vättern, southeast across Sweden. The economic opportunities Vänern offers are illustrated by the surrounding towns, which have supporting themselves for centuries by fishing and allowing easy transportation to other cities or west by Göta älv to the sea of Kattegat. This directly includes: Karlstad(chartered in 1584), Kristinehamn (1642), Mariestad (1583), Lidköping (1446) Vänersborg(1644), Åmål (1643), Säffle (1951), and indirectly Trollhättan (1916). The Djurö archipelago surrounds the island of Djurö, in the middle of the lake, and has been given national park status as Djurö National Park. The ridge (plateau mountain) Kinnekulle is a popular tourist attraction near the south-eastern shore of Vänern. It has the best view over the lake (about 270 metres (890 ft) above the lake level). Another nearby mountain is Halleberg. Environmental monitoring studies are conducted annually. In a 2002 report, the data showed no marked decrease in overall water quality, but a slight decrease in visibility due to an increase of algae. An increasing level of nitrogen had been problematic during the 1970s through 1990s, but is now being regulated and is at a steady level. Some bays also have problems with eutrophication and have become overgrown with algae and plant plankton. Vänern has many different fish species. Locals and government officials try to enforce fishing preservation projects, due to various threats to the fish habitats. These threats include water cultivation in the tributaries, pollution and the M74 syndrome. Sport fishing in Vänern is still free and unregulated, both from the shores and from boats (with some restrictions, e.g. a maximum of three salmon or trout per person per day). Only commercial fishing requires permission. In the open waters of Vänern, the most common fish is the smelt, dominating in the eastern Dalbosjön, where the average is 2,600 smelt per hectare. The second most common fish is the vendace (Coregonus albula), also most prominently in Dalbosjön, with 200–300 fish per hectare. The populations may vary greatly between years, though, depending on temperature and the water level and quality. The fish in Vänern are important for the industry of the towns around it. In 2001, 165 tons (165,000 kg) of vendace, 100 tons of whitefish, and 25 tons of eel were caught. Vänern has two sub-groups of lake salmon known as Vänern salmon. They are native to Vänern and spawn in the adjacent lakes. The first sub-group is named after the eastern tributary Gullspångsälven as the Gullspång salmon. The second is the Klarälv salmon, mainly spawning in the Klarälven. These sub-groups are related to Baltic Sea salmon, and they have developed in Vänern for over 9,000 years. They are notable in that they have never entered the ocean. These large lake salmon are known to weigh some 18 kilograms (40 lb); the world's largest lake salmon, exceeding 20 kilograms (44 lb), was caught in Vänern. There are also three other species of salmon-like fishes in the connecting rivers. Basically all common fresh water fish[specify] are found in Vänern. The most important large fish are trout and zander. The most important small fish is the stickleback. The most common birds near Vänern are terns and gulls of different kinds. Cormorants vanished in the 19th century, but have since returned and are flourishing. This has contributed to the increase in the population of sea eagles, who feed on cormorants. However, fishermen are not so happy, as cormorants raid their nets. Rarer species are the Black-throated diver and the Turnstone (Arenaria interpres), with hardly a dozen nests around Vänern; and the Caspian tern with hardly a dozen specimens. This article is about the canal in Sweden. For 1981 Swedish film, see Göta kanal eller Vem drog ur proppen?. Map showing the route of the Göta Canal in dark blue, including the Göta älv and Trollhätte kanal. The Göta Canal (Swedish: Göta kanal) is a Swedish canal constructed in the early 19th century. It formed the backbone of a waterway stretching some 382 miles (614 km), linking a number of lakes and rivers to provide a route from Gothenburg (Swedish:Göteborg) on the west coast to Söderköping on the Baltic Sea via the river Göta älv and the Trollhätte kanal, through the large lakes Vänern and Vättern. The canal itself is 118 miles (190 km) long, of which 54 miles (87 km) were dug or blasted, with a width varying between 23–46 ft (7–14 m) and a maximum depth of about 9 ft (3 m). It has 58 locks and can accommodate vessels up to 105 ft (32 m) long, 21 ft (7 m) wide and 9 ft (2.8 m) in draft.Göta Canal is a sister canal of Caledonian Canal in Scotland, which was also constructed by Thomas Telford. The canal is nicknamed the "divorce ditch." It earned this nickname from the troubles that couples have to endure while trying to navigate the many locks by themselves. The idea of a canal across southern Sweden was first put forward as early as 1516, by Hans Brask, the bishop of Linköping. However, it was not until the start of the 19th century that Brask's proposals were put into action by Baltzar von Platen, a German-born former officer in the Swedish Navy. He organised the project and obtained the necessary financial and political backing. His plans attracted the enthusiastic backing of the government and the new king, Charles XIII, who saw the canal as a way of kick-starting the modernisation of Sweden. Von Platen himself extolled the modernising virtues of the canal in 1806, claiming that mining, agriculture and other industries would benefit from "a navigation way through the country." The project was inaugurated on 11 April 1810 with a budget of 24 millionSwedish riksdalers. It was by far the greatest civil engineering project ever undertaken in Sweden up to that time, taking 22 years of effort by more than 58,000 workers. Much of the expertise and equipment had to be acquired from abroad, notably from Britain, whose canal system was the most advanced in the world at that time. The Scottish civil engineer Thomas Telford developed the initial plans for the canal and travelled to Sweden in 1810 to oversee some of the early work on the route. Many other British engineers and craftsmen were imported to assist with the project, along with significant quantities of equipment - even apparently mundane items such as pickaxes, spades and wheelbarrows. The Göta Canal was officially opened on 26 September 1832 in an event commemorated by the painter Johan Christian Berger in his work The Opening of the Göta Canal on 26 September 1832. Von Platen himself did not live to see the completion of the canal, having died shortly before its opening. However, it was never an economic success. The arrival of the railways in 1855 quickly made it redundant, as trains could carry passengers and goods far more rapidly and did not have to shut down with the arrival of winter, which made the canal impassable for five months of the year. By the 1870s, the canal's goods traffic had dwindled to just three major types of bulk goods - forest products, coal and ore, none of which required rapid transportation. Traffic volumes stagnated after that and never recovered. Lock at Lilla Edet, built in 1916, and the last lock on a westward journey. The original lock was opened in 1607 and was the first lock in Sweden. Bishop Hans Brask's original justifications for the canal's construction were the onerous Sound Dues imposed by Denmark–Norway on all vessels passing through the narrow Øresund channel between Sweden and Denmark and the trouble with the Hanseatic League. The canal enabled vessels travelling to or from the Baltic Sea to bypass the Øresund and so evade the Danish toll. In 1851, the tycoon André Oscar Wallenberg founded the Company for Swedish Canal Steamboat Transit Traffic to carry goods from England to Russia via the canal. However, it only ran two trips between St Petersburg and Hull via Motala before theCrimean War halted Anglo-Russian trade. After the war ended, the great powers pressured Denmark into ending the four hundred year-old tradition of the Sound Dues, thus eliminating at a stroke the canal's usefulness as an alternative to the Øresund. The canal had one major industrial legacy in the shape of Motala Verkstad - a factory established in Motala to produce the machines such as cranes and steam dredgers that were needed to build the canal. This facility has sometimes been referred to as the "cradle of the Swedish engineering industry". After the canal was opened, Motala Verkstad focused on producing equipment, locomotives and rolling stock for the newly constructed railways, beginning a tradition of railway engineering that continues to this day in the form of AB Svenska Järnvägsverkstädernas Aeroplanavdelning (ASJA) that was bought by the aeroplane manufacturer SAAB in Linköping. The Trollhaette Canal (Swedish: Trollhätte kanal) is a canal in Sweden that is now part of the Göta Canal. It connects theGöta älv river with Lake Vänern. Parts of the canal are still used to transport cargo, but it is now primarily used as a tourist and recreational attraction, dubbed Sveriges blå band ("Sweden's Blue Ribbon"). Around two million people visit the canal each year on pleasure cruises and related activities. After Lake Vänern (44 m above sea level) Trollhätte kanal to Göteborg and the west-coast of Sweden. Läckö Castle (in Swedish: Läckö Slott ) is a medieval castle in Sweden. Läckö Castle is best known as Magnus de la Gardie's magnificent castle on the shores of Vänern, the largest lake in Sweden. Brynolf Algotsson, Bishop of Skara, laid the foundations for a fortified castle in 1298 originally as a fort that consisted of two or three houses surrounded by a wall. After a fire during the 1470s, the fort was expanded by bishop Brynolf Gerlachsson. After the reformation in 1527, King Gustav Vasa took possession. Field Marshal Jacob Pontusson De la Gardie was granted the property in 1615. Field Marshal de la Gardie embarked on an extensive building spree, including the third floor of the keep. The portal to the main courtyard was added during his period, as were the frescos depicting people and winding plants found in niches, stairwells and the rooms on the third floor. In 1654, Count Magnus Gabriel De la Gardie initiated immense construction projects at Läckö. A fourth floor was built in the main building and a number of artists were hired to decorate the walls and ceilings of the castle. Läckö Castle is a national monument and has been managed by the National Property Board since 1993. The National Property Board (Swedish: Statens fastighetsverk), the Foundation of Läckö Castle (Swedish: Stiftelsen Läckö Slott) and the National Museum of Fine Arts (Swedish: Nationalmuseum) work together to maintain and furnish the castle in the style of the Baroque period. Läckö Castle is located on the Kållandsö island. The Castle is situated 25 kilometers north of Lidköping in Västergötland. Läckö Castle Opera puts on an annual opera production in the castle's inner courtyard, with performances for about three weeks beginning in the middle of July. For other uses, see Gothenburg (disambiguation). From left to right: View over Gothenburg and the Göta älv, Götaplatsen, Svenska Mässan, Gothenburg heritage tram, Elfsborg Fortress, Ullevi. Gothenburg (Swedish: Göteborg, pronounced [ˌjœtəˈbɔrj] ( listen)) is the second largest city in Sweden and the fifth largest in the Nordic countries. 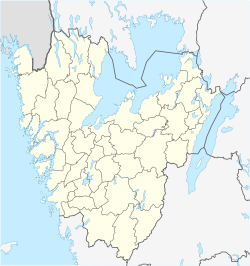 Situated by the Kattegat, on the west coast of Sweden, the city proper has a population of 540,132, with 549,839 in the urban area and 968,993 inhabitants in the metropolitan area. Gothenburg is classified as a global city by GaWC, with a ranking of Gamma−. The city was ranked as the 12th most inventive city in the world by Forbes, and third in Sweden afterMalmö and Stockholm. Gothenburg is home to many students, as the city includes both theUniversity of Gothenburg and Chalmers University of Technology. Volvowas founded in Gothenburg in 1927. The city is a major centre in Sweden for sports and home to the IFK Göteborg, BK Häcken, GAIS and Örgryte ISassociation football teams as well as the Frölunda HC ice hockey team. The city was named after the Geats (Swedish: Götar varied: Geatas, Gautar, Goths, Gotar, Gøtar, Götar), the inhabitants of Gothia, now southern Sweden—i.e., "Geat Castle". The river on which the city sits is the Göta älv or Gothia River. Göta borg "Gothia Fortress" is the fort on the Göta River, built to protect the port. In Dutch, Scots, and English, all being languages with a long history of being spoken in this trade and maritime-oriented city, the name Gothenburgis used for the city. The French form of the city name is Gothembourg but in the French texts, the Swedish name Göteborg is more frequent. Gottenburgcan also be seen in some older English texts. These traditional forms are now sometimes replaced with the use of the Swedish Göteborg, for example by the Göteborgsoperan and the Göteborg Ballet. However,Göteborgs universitet, previously designated as Göteborg University in English, changed to the University of Gothenburg in 2008. The municipality of Gothenburg has also reverted to the use of the English name in international contexts. Other old variations in Swedish areGötheborgh, and the more common, Götheborg. One English text written in the late 15th century states the name as "Guthaeborg".. In the early modern period, the configuration of Sweden's borders made Gothenburg strategically critical as the only Swedish gateway to the North Sea and Atlantic, lying on the west coast in a very narrow strip of Swedish territory between Danish Halland to the south and Norwegian Bohuslen to the north. After several failed attempts, Gothenburg was successfully founded in 1621 by King Gustavus Adolphus (Gustaf II Adolf). The site of the first church built in Gothenburg, subsequently destroyed by Danish invaders, is marked by a stone near the north end of the Älvsborg Bridge in Färjenäs park. The church was built in 1603 and destroyed in 1611. The city was heavily influenced by the Dutch, Germans and Scots, and Dutch planners and engineers were contracted to construct the city as they had the skills needed to drain and build in the marshy areas chosen for the city. The town was designed like Dutch cities such as Amsterdam, Batavia (Jakarta) and New Amsterdam(Manhattan Island). The plan of the streets and canals of Gothenburg closely resembles that of Jakarta, which was built by the Dutch around the same time. The Dutchmen initially won political power and it was not until 1652, when the last Dutch politician in the city's council died, that Swedes acquired political power over Gothenburg. During the Dutch period the town followed Dutch town laws and there were propositions to make Dutch the official language in the town. Heavy city walls were built during the 17th century. These city walls were torn down after about 1810, because the development ofcannons made such walls less valuable as a defence. Along with the Dutch, the town also was heavily influenced by Scots who came to settle in Gothenburg. Many became people of high profile. William Chalmers was the son of a Scottish immigrant and donated his fortunes to set up what later became Chalmers University of Technology. In 1841 the Scotsman Alexander Keiller founded the Götaverken shipbuilding company that still exists today. His son James Keiller donated Keiller Park to the city in 1906. In the Treaty of Roskilde (1658) Denmark-Norway ceded the then Danish provinceHalland, to the south, and the Norwegian province of Bohus County or Bohuslän to the north, leaving Gothenburg in a less exposed position. Gothenburg was able to grow into an important port and trade centre on the west coast thanks to the fact that it was the only city on the west coast that was granted, together with Marstrand, the rights to trade with merchants from other countries. In the 18th century, fishing was the most important industry. However, in 1731 theSwedish East India Company was founded, and the city flourished due to its foreign trade with highly profitable commercial expeditions to China. The harbour developed into Sweden's main harbour for trade towards the west, and with Swedish emigration to the United States increasing, Gothenburg became Sweden's main point of departure. The impact of Gothenburg as a main port of embarkation for Swedish emigrants is reflected byGothenburg, Nebraska, a small Swedish settlement in the United States. With the 19th century, Gothenburg evolved into a modern industrial city that continued on into the 20th century. The population increased tenfold in the century, from 13,000 (1800) to 130,000 (1900). In the 20th century, major companies that developed included SKF (est. 1907) and Volvo (est. 1926). View over Gustav Adolfs torg, square named after Gustavus Adolphus, the founding father of Gothenburg. Gothenburg is located on the west coast, in Southwestern Sweden, approximately half way between the capitals Copenhagen, Denmark, and Oslo, Norway. The location at the mouth of the river Göta älv, which feeds into Kattegatt, an arm of theNorth Sea, has helped the city grow in significance as a trading city. Thearchipelago of Gothenburg consists of rough, barren rocks and cliffs, which also is typical for the coast of Bohuslän. Due to the Gulf Stream the city has a mild climate and quite a lot of rain. The Gothenburg Metropolitan Area (Stor-Göteborg) has 816,931 inhabitants and extends to the municipalities of Ale, Härryda, Kungälv, Lerum, Mölndal, Partille,Stenungsund, Tjörn, Öckerö in Västra Götaland County, and Kungsbacka in Halland County. Angered, a suburb outside Gothenburg, consists of Hjällbo, Rannebergen, Hammarkullen, Gårdsten and Lövgärdet. It is a Million Programme part of Gothenburg, like Rosengård in Malmö and Botkyrka in Stockholm. Angered has 40,000 inhabitants in total. It lies north from Gothenburg and is isolated from the rest of the city. Bergsjön is another Million Programme suburb north of Gothenburg, Bergsjön has 14,000 inhabitants. Biskopsgården is the biggest multicultural suburb on the island Hisingen, which is a part of Gothenburg separated by the river. Gothenburg has an oceanic climate according to Köppen climate classification. Despite its northern latitude, temperatures are quite mild throughout the year and much warmer than places in similar latitude, or even somewhat further south, mainly because of the moderating influence of the warm Gulf Stream. During the summer, daylight extends 18 hours and 5 minutes, but lasts 6 hours and 32 minutes in late December. Summers are warm and pleasant with average high temperatures of 19 to 20 °C (66 to 68 °F) and lows of 10 to 12 °C (50 to 54 °F), but temperatures of 25–30 °C (77–86 °F) occur on many days during the summer. Winters are cold and windy with temperatures of around −3 to 3 °C (27 to 37 °F), even though it rarely drops below −15 °C (5 °F). Precipitation is regular but generally moderate throughout the year. Snow mainly occurs from December to March, but is not unusual in November and April and can sometimes occur even in October and May. A view in the Gothenburg Botanical Garden. Gothenburg has several parks and nature reserves ranging in size from tens of metres to hundreds of hectares. There are also many green areas which are not designated parks or reserves. Kungsparken. 13 hectares, built between 1839–1861. Surrounds the canal that circles the city centre. Trädgårdsföreningen. A park and horticultural garden, it is located next to Kungsportsavenyn. Founded in 1842 by the Swedish king Carl XIV Johan and on initiative of the amateur botanist Henric Elof von Normann. In the park there is an acclaimed rose garden with some 4,000 roses of 1,900 species. Slottsskogen. 137 hectares, Created in 1874 by August Kobb. Has a free "open" zoo that includes Harbor seals,penguins, horses, pigs, deer, moose, goats and many birds. Hosts the Way Out West Festival. Änggårdsbergens Naturreservat. 220 hectares. Bought in 1840 by Arvid Gren, a pharmacist, in 1963 donated to the city by Sven and Carl Gren Broberg who stated the area must remain a nature and bird reserve. Lies partly in Mölndal. Delsjöområdets Naturreservat. Approx. 760 hectares. In use since 17th century as a farming area, a lot of forest management was carried out in the late 19th century. Skatås gym & motionscentrum is situated here. Rya Skogs Naturreservat. 17 hectares, in 1928 became a protected area. Contains remnants of a defensive wall built in the mid to late 17th century. Keillers Park. James Keiller donated the park in 1906. He was the son of Scottish Alexander Keiller who foundedGötaverken, a shipbuilding company. S.A. Hedlunds Park. Sven Adolf Hedlund, newspaper publisher and politician bought the 15 hectare Bjurslätt farm in 1857, in 1928 it was given to the city. Flunsåsparken. Built in 1950. Has many free activities during the summer such as concerts and theatre. See links. Gothenburg Botanical Garden. 175 hectares. Opened in 1923. Won an award in 2003 and in 2006 was 3rd in "The most beautiful garden in Europe" competition. Around 16,000 species of plant and tree. The greenhouses contain around 4500 species including 1600 orchids. The Poseidon Statue atGötaplatsen remains a well-known cultural symbol and landmark. The sea, trade and industrial history of the city is evident in the cultural life of Gothenburg. The greatest attraction in the city is the amusement park Liseberg (see Points of interest). Another fact related to the industrial heritage of the city is that many of the cultural institutions, as well as hospitals and the university, were created thanks to donations from rich merchants and industrialists, for example the Röhsska Museum. The Universeum is a public science centre that opened in 2001, the largest of such a kind in Scandinavia. It is divided into six sections, each containing experiment workshops and a collection of reptiles, fish and insects. The Universeum occasionally gives Swedish secondary school students a chance to debate with Nobel prize-winners and professors. There are many free theatre ensembles in the city, besides institutions like Gothenburg City Theatre, Backa Theatre (youth theatre), and Folkteatern. On 29 December 2004, the Museum of World Culture was opened in Gothenburg, located nearKorsvägen. The Göteborg International Film Festival, held each year, is the largest film festival in Scandinavia. Similarly, theGothenburg Book Fair, held every year in September, is the largest such event in Scandinavia. The International Science Festival in Gothenburg is an annual festival since April 1997 in central Gothenburg with thought provoking science activities for the public. The festival is visited by about 100,000 people each year. This makes it the largest popular science event in Sweden and one of the largest popular science events in Europe. Citing the Financial Crisis the International Federation of Library Associations and Institutions has announced that Gothenburg will host the 2010 World Library and Information Congress, previously to be held in Brisbane, Australia. There are very few houses left from the 17th century when the city was founded, since all but the military and royal houses were built of wood. A rare exception is Skansen Kronan. The first major architecturally interesting period is the 18th century when theEast India Company made Gothenburg an important trade city. Imposing stone houses with a Classical look were erected around the canals. One example from this period is the East India House, which today houses Gothenburg’s City Museum. In the 19th century, the wealthy bourgeoisie began to move outside the city walls which had protected the city when the Union of Denmark and Norway was still a threat. The style now was an eclectic, academic, somewhat over decorated style which the middle-class favoured. The working class lived in the overcrowded city district Haga in wooden houses. In the 19th century the first important town plan after the founding of city was created, which led to the construction of the main street, Kungsportsavenyn. The perhaps most significant type of houses of the city, Landshövdingehusen, were built in the end of the 19th century; three storey-houses with the first floor in stone and the other two in wood. The early 20th century, characterized by the National Romantic style, was rich in architectural achievements.Masthugget Church stands out as one of the architectural monuments of this period. In the early 1920s, on the city's 300th anniversary, the Götaplatsen square with its Neoclassical look was built. After this the predominant style in Gothenburg and rest of Sweden was Functionalism which especially dominated the suburbs like Västra Frölunda and Bergsjön. The prominent Swedish functionalist architect Uno Åhrén served as the city planner here from 1932 through 1943. In the 1950s, the big stadium Ullevi was erected when Sweden hosted the 1958 FIFA World Cup. The Gothenburg Central Station is in the heart of the city, just next to Nordstan and Drottningtorget. The building has been renovated and expanded numerous times since the grand opening in October 1858. In 2003 a major reconstruction was finished which brought the 19th-century building into the 21st century expanding the capacity for trains, travellers and shopping. Not far from the central station is Skanskaskrapan, or more common known as "The Lipstick". It is 86 meters high with 22 floors and coloured in red-white stripes. The skyscraper was designed by Ralph Erskine and built by Skanska in the late 1980s as the headquarters for the company. By the shore of Göta älv is the Gothenburg Opera. It was completed in 1994. The architect Jan Izikowitz was inspired by the landscape and described his vision as "Something that makes your mind float over the squiggling landscape like the wings of a seagull." Feskekôrka, or Fiskhallen, is a fishmarket by the Rosenlundskanalen in the heart of Gothenburg. Feskekôrkan was opened on 1 November 1874 and the name comes from being compared with a church. The Gothenburg Law Court is in the Beaux-Arts. The Gothenburg Synagogue at Stora Nygatan, near Drottningtorget, was built in 1855 according to the designs of the German architect August Krüger. Gothenburg has a diverse music community—the Gothenburg Symphony Orchestra is the best known when it comes to classical music. Gothenburg also was the birthplace of the Swedish composer Kurt Atterberg. Bands like The Soundtrack of Our Lives and Ace of Base are well known pop representatives of the city. There is also an active indie scene. For example, the musician Jens Lekman was born in the suburb of Angered and named his 2007 release Night Falls Over Kortedala after another suburb (Kortedala). Other internationally acclaimed indie artists include the electro pop duos Studio, The Knife, Air France, The Tough Alliance, songwriter José González and pop singer El Perro Del Mar as well as genre bending quartetLittle Dragon fronted by vocalist Yukimi Nagano. Another son of the city is one of Sweden's most popular singers, Håkan Hellström, who often includes many places from the city in his songs. The glam rock group Supergroupies derives from Gothenburg. Gothenburg's own commercially successful At the Gates, In Flames, and Dark Tranquillity are credited with pioneering melodic death metal, but in fact bands such asEucharist (band) from the Gothenburg suburb Veddige, and Ceremonial Oath came first. Other well known bands of the Gothenburg scene are thrash metal band The Haunted, progressive power metal band Evergrey and power metal bands HammerFalland Dream Evil. There are many music festivals that take place in the city every year. The Metaltown Festival is a two-day festival featuring heavy metal music bands, held in Gothenburg. 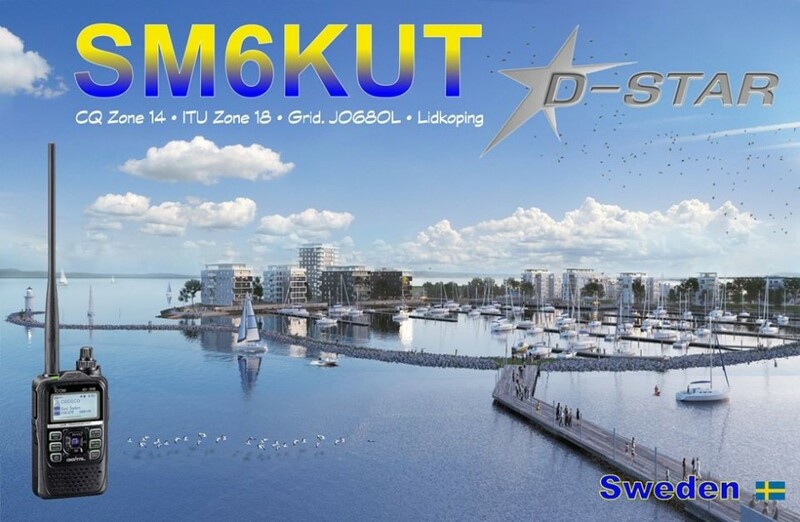 It has been arranged annually since 2004, taking place at the Frihamnen venue. The previous festival in June 2012, included bands such as In Flames, Marilyn Manson,Slayer, Lamb of God, and Mastodon. Another popular festival, Way Out West, focuses more on rock, electronic and hip-hopgenres. The 3D-animated anthropomorphic blue frog known as Crazy Frog originally hails from Gothenburg as well. The eurodance act marketed to kids gained some brief success on several international music charts in the mid-noughties. The city has a number of star chefs – over the past decade, seven of the Swedish Chef of the Year Awards have been won by Gothenburgers. A popular place to buy fish ingredients is the Feskekôrka ("Fish Church"); an indoor fish market which got its name from the building's resemblance to a Gothic church. Five Gothenburg restaurants have a star in the 2008Michelin Guide: 28 +, Basement, Fond, Kock & Vin, Fiskekrogen and Sjömagasinet. The Gustavus Adolphus pastry, eaten every 6 November in Sweden, Gustavus Adolphus Day, is especially connected to and appreciated in Gothenburg because the city was founded by King Gustavus Adolphus. With around 20,000 sailboats and yachts scattered about the city, sailing is a popular sports activity in the region, particularly because of the nearbyGothenburg Archipelago. As in all of Sweden, a variety of sports are followed, including but not limited to football,ice hockey, basketball, team handball, baseball, and figure skating. There is a varied amateur and professional sports clubs scene. Gothenburg is the birthplace of football in Sweden as the first football match in Swedenwas played there in 1892. The city's three major football clubs, IFK Göteborg, Örgryte IS and GAIS share a total of 34 Swedish Championships between them. IFK has also won the UEFA Cup twice. Other notable clubs include BK Häcken (football), Pixbo Wallenstam IBK (floorball), multiple national team handball champion Redbergslids IK, and three time national ice hockey champion Frölunda HC, Gothenburg has also a professional basketball team Gothia Basket. The bandy department of GAIS, GAIS Bandy, played the first season in the highest division Elitserien last season. The group stage match between the main rivals Sweden and Russia in the Bandy World Championship for men 2013 was played at Arena Heden in central Gothenburg. The city's most notable sports venues are Scandinavium (ice hockey), and Ullevi(multisport) and the new-built Gamla Ullevi (football). The 2003 World Allround Speed Skating Championships were held in Rudhallen,Sweden's only indoor speed skating arena. It's a part of Ruddalens IP, which also has a bandy field and several football fields. The one and only Swedish heavyweight champion of the world in boxing, Ingemar Johansson, who took the title from Floyd Paterson in 1959, was from Gothenburg. Gothenburg has hosted a number of international sporting events including the1958 FIFA World Cup, the 1983 European Cup Winners' Cup Final, an NFLpreseason game on 14 August 1988 between the Chicago Bears and the Minnesota Vikings, the 1992 European Football Championship, the 1993 and the 2002 World Men's Handball Championship, the 1995 World Championships in Athletics, the 1997 World Championships in Swimming (Short track), the 2002 Ice Hockey World Championships, the 2004 UEFA Cup final, the 2006 European Championships in Athletics, and the 2008 World Figure Skating Championships. Annual events held in the city are the Gothia Cup and the Göteborgsvarvet. Gothenburg hosted the XIII FINA World Masters Championships 2010. Diving, swimming, synchronized swimming and open water competitions took place from 28 July to 7 August. The water polo events were played on the neighboring city ofBorås. Gothenburg is also home to the Gothenburg Sharks, a professional baseball team in the Elitserien (highest) Division of baseball in Sweden. In June 2015, the Volvo Ocean Race, professional sailing's leading crewed offshore race, will conclude in Gothenburg. Fireworks at the opening ceremony of Gothia Cup. Due to the Gothenburg's advantageous location in the centre of Scandinavia, trade and shipping have always played a major role in the city's economic history, and they continue to do so. Gothenburg port has come to be the largest harbour in Scandinavia. Apart from trade, the second pillar of Gothenburg has traditionally been manufacturing, and industry which significantly contributes to the city's wealth. Major companies operating plants in the area include SKF,Volvo, and Ericsson. Volvo Cars is the largest employer in Gothenburg, not including jobs in supply companies. The blue collar industries which have dominated the city for long are still important factors in the city's economy, but they are being gradually replaced by high tech industries. Banking and finance are also important trades as well as the event and tourist industry. Historically, Gothenburg was home base of the 18th century Swedish East India Company and were from the founding of the city until the late 1970s a world-leading city in ship building with shipyards as Eriksbergs Mekaniska Verkstads AB,Götaverken, Arendalsvarvet and Lindholmens varv. Gothenburg has an ethnic Swedish population of approximately 78%. Like most Swedish metropolitan areas the city has a sizeable immigrant population. According to Statistics Sweden in 2005, there are 108,480 immigrants resident in Gothenburg, which is about 22% of the population, out of which 10% are from Iran, 9% from Iraq and 7% fromFinland. Gothenburg has two universities, both of which started off as colleges founded by private donations in the 19th century. The University of Gothenburg has approximately 25,000 students and is one of the largest universities inScandinavia and one of the most versatile in Sweden. Chalmers University of Technology is a well-known university located in Johanneberg 2 km (1 mi) south of the inner city, lately also established at Lindholmen in Norra Älvstranden,Hisingen. There are also four folk high schools (Arbetarrörelsens Folkhögskola i Göteborg,Folkhögskolan i Angered, Göteborgs Folkhögskola, and Kvinnofolkhögskolan). Gothenburg has some 25–30 high schools. Three of the more notable schools areSigrid Rudebecks gymnasium, Hvitfeldtska gymnasiet and Göteborgs Högre Samskola. There are also some high-schools connected to big Swedish companies. One is SKF Technical high-school (belonging to SKF) and Gothenburg's technical high-school (belonging to Volvo). There is an International school with campuses in Guldheden and central Gothenburg called the International School of the Gothenburg Region. Liseberg, the largest amusement park in Scandinavia, chosen as one of the top ten amusement parks in the world (2005) by Forbes. Swedish Exhibition & Congress Centre, Scandinavia's biggest assembly. Gothenburg is a popular destination for tourists on the Swedish west-coast, and offers a number of cultural and architectural highlights. The main boulevard is called Kungsportsavenyn (commonly known as Avenyn, "The Avenue"). It is about one kilometre (0.62 miles) long and starts at Götaplatsen — which is the location of the Gothenburg Museum of Art, the city's theatre, the city library as well as the concert hall— and stretches out all the way to Kungsportsplatsen in the old city centre of Gothenburg, crossing a canal and a small park. The Avenyn was created in the 1860s and 1870s as a result of an international architecture contest, and is the product of a period of extensive town planning and re-modelling. Avenyn has Gothenburg's highest concentration of pubs and clubs. Gustaf Adolf Square is a town square located in central Gothenburg. Interesting buildings on the square include Gothenburg City Hall (formerly the stock exchange, opened in 1849) and the Nordic Classicism law court. The main canal of Gothenburg also flanks the square. Scandinavia's largest shopping centre, Nordstan, is located in central Gothenburg. Gothenburg's Haga district is known for its picturesque wooden houses and its cafés. The Gothenburg Opera house was inaugurated in 1994, and is an architectural landmark situated right next to the Göta älv river. Museums include the Gothenburg Museum of Art, Göteborgs Konsthall, Röhss Museum, and several museums of sea and navigation history, natural history, the sciences, and East India. The Museum of World Culture was inaugurated in 2004. Aeroseum, close to the Göteborg City Airport, is a unique aircraft museum in a former military under ground Air Force base. The Gothenburg Botanical Garden is considered to be one of the most importantbotanical gardens in Europe with three stars in the French Guide Rouge. Next to the botanical garden is Gothenburg's largest park, Slottsskogen, where the Natural History Museum (Naturhistoriska Museet) is located. The park is also home to the city's oldest observatory and a zoo. The amusement park Liseberg is located in the central part of the city. Liseberg is Scandinavia's largest amusement park by number of rides, and the most popular attraction in Sweden by number of visitors per year (more than 3 million). Located near Liseberg is a science discovery centre named Universeum. One of Gothenburg's most popular natural tourist attractions is the Southern Gothenburg Archipelago, which is a set of several picturesque islands that can be reached by ferry boats mainly operating from Saltholmen. Within the archipelagoÄlvsborg Fortress, Vinga and Styrsö islands are popular places to visit. The Gunnebo House is a country house located to the south of Gothenburg, in Mölndal. It was built in a neoclassical architecture towards the end of the 18th century. Created in the early 1900s was the Vasa Church. It is located in Vasastan and is built of granite in a Neo-Romanesque style. The Volvo museum has exhibits of the history of Volvo and the development from 1927 until today. Products shown range from cars, trucks, marine engines, buses, etc. Göteborg Landvetter Airport (IATA: GOT, ICAO: ESGG) is located 20 km (12 mi) east of Gothenburg, and is the largest international airport serving the Gothenburg region in Sweden. With 4.9 million passengers in 2011 it is Sweden's second-largest airport. It is operated by the Swedish Civil Aviation Administration (Luftfartsverket). It has connections with about 40 scheduled destinations. Göteborg City Airport (IATA: GSE, ICAO: ESGP) is located 10 km (6 mi) northwest of the city centre. It was formerly known as Säve Flygplats, and today it is Gothenburg's second international airport and Sweden's 7th largest airport. It is located within the borders of Gothenburg Municipality. In addition to commercial airlines, the airport is also operated by a number of rescue services, including the Swedish Coast Guard, and is used for other general aviation. Most civil air traffic to Göteborg City Airport is via low-cost airlines such as Ryanair and Wizzair. It has connections with 23 scheduled destinations. Gothenburg harbour seen from the Älvsborg bridge. Seen to the left is the ship HSS Stena Carisma and to the right MS Stena Scandinavica. The "England ferry" (Englandsfärjan) to Newcastle over Kristiansand (run by theDanish company DFDS Seaways) ceased at the end of October 2006, after being a Gothenburg institution since the 19th century. DFDS Seaways' sister company, DFDS Tor Line, continues to run scheduled freight ships between Gothenburg and several English ports, and these have limited capacity for passengers and their private vehicles. There are also freight ships to North America and East Asia. Gothenburg's popular tram systemcovers most of the city which makes it the most extensive in Scandinavia. With over 80 km (50 mi) of double track the Gothenburg tram is the largest tram/light rail network in Scandinavia. The bus network, however, is almost as important. There are also some boat and ferry services. The lack of a subway is due to the soft ground on which Gothenburg is situated. Tunneling is very expensive in such conditions. There is also a commuter rail in Gothenburg servicing some nearby cities and towns. The Gothenburg Award is the city’s international prize that recognises and supports work to achieve sustainable development – in the Gothenburg region and from a global perspective. The award, which is one million Swedish crowns, is administrated and funded by a coalition of the City of Gothenburg and twelve companies. Past winners of the award have included Kofi Annan, Al Gore, and Michael Biddle. With Lyon (France) there is no formal partnership, but "a joint willingness to cooperate".